Burger King. It's a name that nearly everyone knows. They have BK's in 73 countries and it's the 5th largest franchise chain in the world. 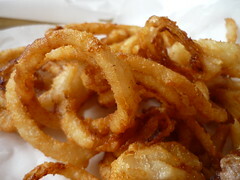 If a place were to ever open with even the words burger and king in it it may cause some controversy and dispute. The BK corporation is no stranger to controversy and one day back in 1968 they tried flexing their muscle by bringing a dispute to federal court. 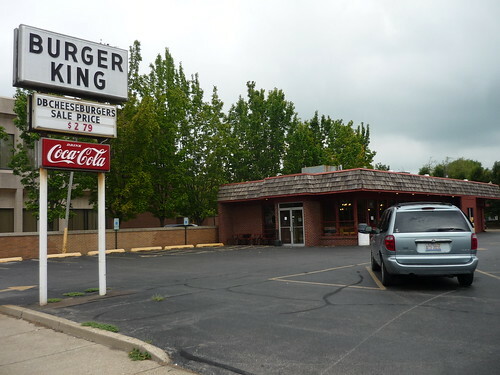 They tried to sue this little Burger King in Mattoon Illinois, which just before that had just tried to file suit in state. Burger King of Florida, Inc. v. Hoots (1968) was born. I've always wanted to stop in here after reading about it somewhere and I have a list of places down in Central IL that I would like to try for those times I'm riding thru the corn fields. 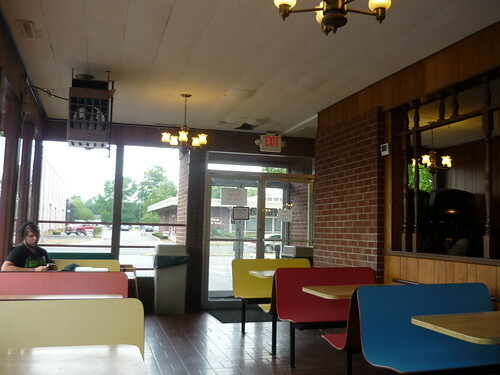 Another on my list is the previously discussed Burger Chef which at one time was a rising fast food chain. Burger King in Mattoon never had plans to be that. 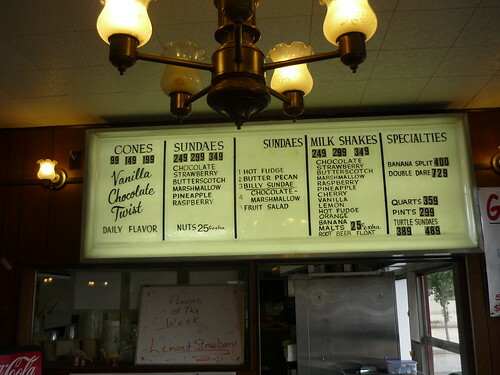 It's been the Hoots' family business since the couple from around town took over a popular Frigid Queen ice Cream shop from Gene Hoots' uncle. They decided to add burgers and fries to the menu in 1957 after they added a grill in back. "When it came time to give the new business behind the Frigid Queen a name, Betty said that a queen needs a king, and chose the name Burger King" from the Illinois Times. Back to the case that became a famous example in trademark law. When they changed the name to Burger King Gene's uncle told them to make sure they trademark the name in state. So they did that but they had no idea there was something being ground up down in South Beach. 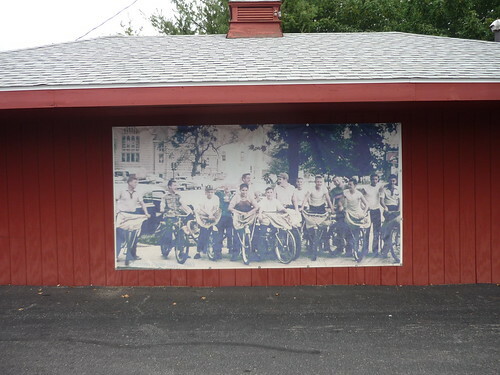 The behemoth that is Burger King was being born and they were growing quick and in Illinois by the early 60's. Eventually a trademark case ensued since the Hoots' had thought they were the only people that could operate in state under the name 'Burger King'. It went back and forth and was a classic David vs Goliath type case. Eventually the courts ruled that the Hoots' had indeed grabbed the Burger King name first in Illinois but the corporation had a nationwide trademark. But they also ruled that BK the Giant couldn't operate within a 20 mile radius. The Big Boys have offered $10,000!?!?! to the family to open one in Mattoon but they stayed true and didn't take it. Seriously I'd be insulted, they make at least that on soft drinks in each minute of every day. Inside it's got more the feel of a place that used to be a sitdown fast food spot ala Bakers Square or iHop than it does an old time burger shop but that's about all that's changed. We got there around 10a right when they were just getting ready for the day and there was already a group of teen locals hanging out there playing video games and ordering burgers while playing board games. It's clearly the place to hang and it would seem to be either that or the library I guess if your under 21. The burgers were under $2 for one with cheese and just over that for a double which I went with along with some onion strings. Those were pretty tasty and the fries were ok but nothing great. 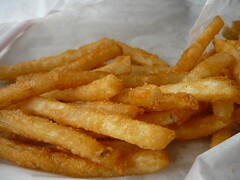 They never claimed to be the owner of the throne for french fries. But the burgers are pretty damn good and a great bang for your buck value. 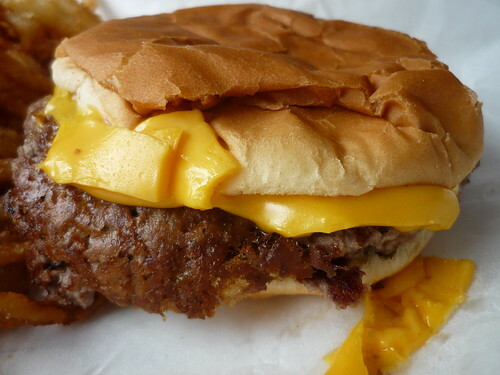 These burgers are freshly made the same way as when they first started. Balls of beef are smashed so theres some good crispy edge crunch and your standard toppings are mustard, onions and pickles. They offer a Hooter Burger (Hooters hasn't tried to sue them that I know of) that's a 1/4 pounder with cheese and lettuce, tomato, mayo, ketchup etc... But you gotta go classic. It was fun stopping in and a surprise that the burgers were even better than anticipated. I thought as I ate this burger what a great stop Burger King Mattoon would be on the presidential roadfood campaign trail. For those times where they stop in at these small town eateries to meet the local folks, eat and preach. "I'm a man that fights for the average American. The Burger King of Mattoon. I'm not a money hungry corporate shark like those fancy car driving people that run Burger King down in flashy South Beach. I am Middle America. The average man just like you. I'm not looking to go big. I just want to fix whats broke"
If only all politicians were as old school as Burger King aka honest and if only all these new school burger joints opening up knew that its not a race to see who can be the most unique. Its not all about the size, the cheapest or most expensive burger being determined best by how many dollars worth of truffles are on top. Simple and served fresh for fair market value in most cases works best. Now if we could stop all the lawsuits against restaurants names Olympic and Olympia.